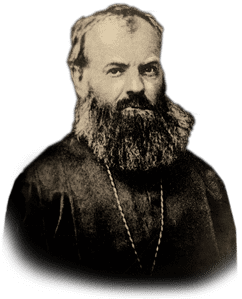 Archabbot Boniface Wimmer, O.S.B. 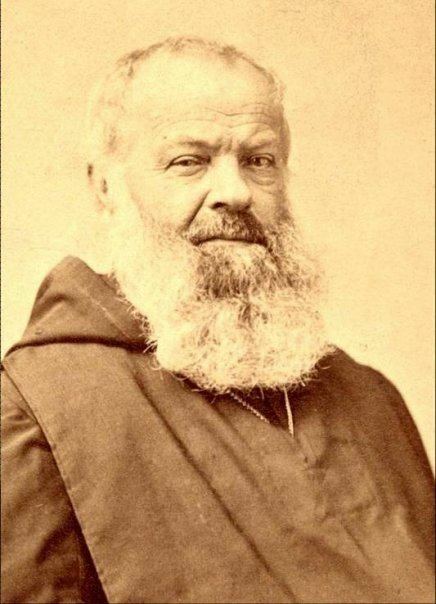 (1809 – 1887) was a German monk who in 1846 founded the first Benedictine monastery in the United States, Saint Vincent Archabbey, in Latrobe, Pennsylvania, forty miles southeast of Pittsburgh. In 1855 Wimmer founded the American-Cassinese Congregation of Benedictine Confederation. The official website of Boniface Wimmer can be found here. He was born 14 January 1809 in the hamlet of Thalmassing, Bavaria and christened Sebastian Wimmer. His parents, Peter Wimmer and Elizabeth (née Lang) Wimmer were tavern keepers. As a young boy, Sebastian believed he had a vocation to the priesthood. He attended the University of Regensburg (Ratisbon) and the University of Munich, where he studied law. When a scholarship opened up in the Gregorianum, he took a competitive exam, won a scholarship, finished his theological studies, and was ordained on 1 August 1831. Following his ordination to the Priesthood, Father Sebastian Wimmer served a year as curate at the famous Shrine of the Virgin Mary at Altötting, Bavaria. It was also during this time that the King of Bavaria, Ludwig of the Royal House of Wittelsbach, lifted the Napoleonic suppression of the Bavarian Benedictine Monasteries and began the process of re-establishing them. One such Abbey was the ancient Benedictine foundation of Saint Michael Abbey in the town of Metten, Bavaria. Saint Michael Abbey had been founded in 766 by Charlemagne with monks from the Archcenobium of Monte Cassino, of the Italian province of Umbria. The Abbey was suppressed in 1803 by Napoleon. With its re-establishment, Father Sebastian Wimmer sought to enter the newly formed monastery and discern a vocation to the Benedictine monastic life. Upon entering the community at Metten, Father Sebastian Wimmer was given the religious name, Boniface, after the great Apostle to Germany, Saint Boniface. He took solemn vows on 29 December 1833. He lived the common life which he had professed, namely, obedience, stability and Conversatio Morum (conversion of life) at Metten. 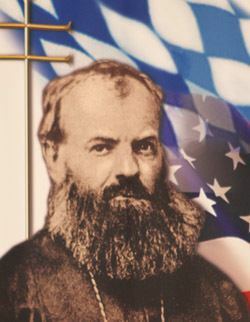 Almost from the very beginning, Father Boniface Wimmer had an interior calling to be a missionary to the thousands of German people who had left their native land to pursue a better life in the United States. Reading about the condition of German immigrants in the United States, Wimmer took steps to transplant Benedictine missions there. He began by asking his superior for permission to go to the New World as a missionary. Father Boniface Wimmer was granted permission to serve in a missionary capacity in the United States in 1846. Between 1830 and 1860 the majority of the 1.5 million German immigrants to the United States settled on the rural frontier. Wimmer came to serve these working class Catholic immigrants, and for the next forty years, his evangelization efforts expanded to include Irish, African Americans, Native Americans, and immigrants from Eastern Europe. 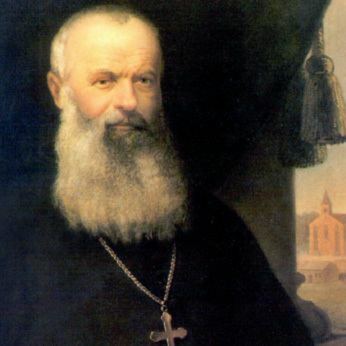 Thus he demonstrated a traditional Benedictine preference to establish monasteries and religious centers in farming regions and to work among rural people rather than urban. Father Boniface Wimmer and a band of 18 young aspirants to the Benedictine life left Rotterdam, the Netherlands in July 1846. The passage across the Atlantic Ocean on the steamship, U.S. Iowa, was turbulent. Upon his arrival in New York City, Father Boniface was greeted with discouragement by several priests who tried to persuade him to abandon his plans. 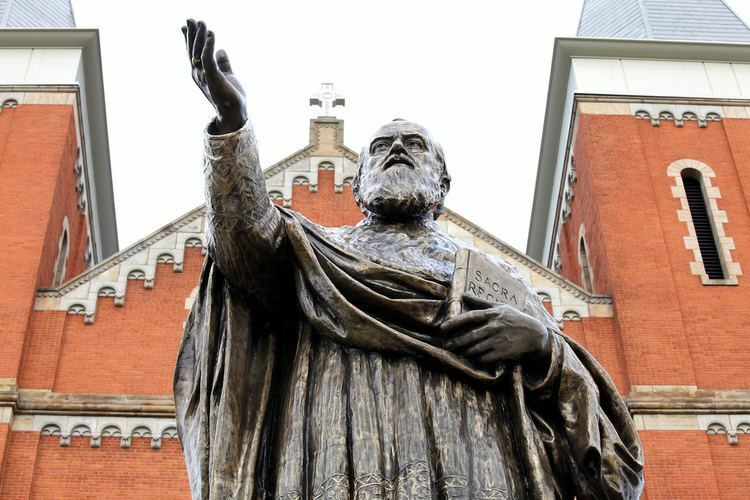 Nevertheless, he went west to the newly organized Roman Catholic Diocese of Pittsburgh, and accepted land which Father Peter Lemke, for years associated with the Rev. Prince Gallitzin, had offered. Conditions at this site in Carrolltown proved unfavorable. 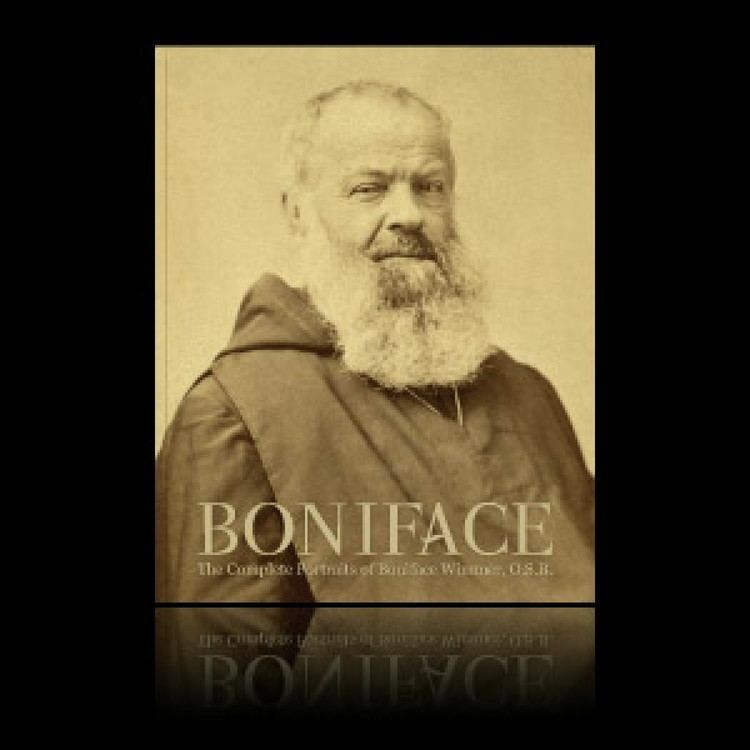 By late September, 1846, Father Boniface had received an invitation from Bishop Michael O'Connor, first Bishop of Pittsburgh, asking him to take the pastoral responsibility of a small parish named Saint Vincent, about 40 miles southeast of Pittsburgh. Wimmer and his companions arrived at Saint Vincent on October 19, 1846. There they found only a small school house, a barn, a log cabin, and a small brick church. It was here that on October 24, 1846, Father Boniface Wimmer, O.S.B., was installed as pastor of Saint Vincent Parish and founded the first Benedictine Monastery in the United States. By 1851, there were 100 professed monks at Saint Vincent. On August 24, 1855, Pope Pius IX, in his Apostolic Brief, Inter Ceteras, elevated Saint Vincent to the status of Abbey. Within the nine years of his arrival in the United States, Wimmer had built up a strong monastic foundation with over 200 professed monks. 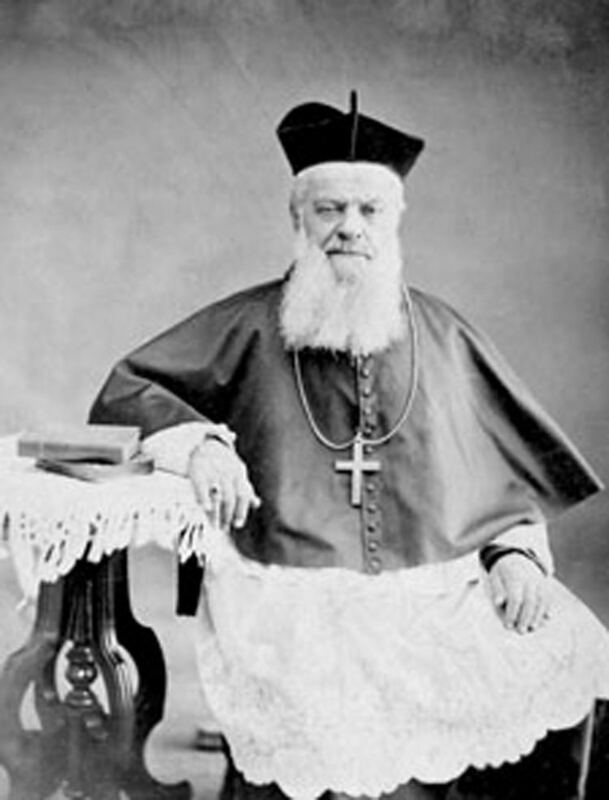 Wimmer became Abbot in 1855, and in 1883, was granted the title, Archabbot, by Pope Leo XIII. Abbot Wimmer was an active monk, rather than a contemplative. In addition to building up Saint Vincent, he developed a self-sufficient community that ground its own flour, raised its own crops, mined its own coal, and brewed its own beer. Boniface Wimmer died on December 8, 1887. At the time of his death, there were ten Benedictine Abbeys in the United States founded by him. In his lifetime, he founded 152 Roman Catholic Parishes, ten Abbeys and numerous schools. 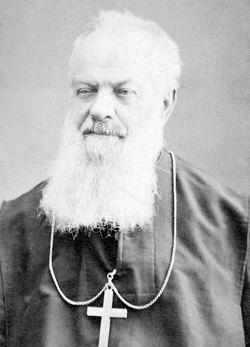 He was lauded by Sadliers Catholic Encyclopedia of 1888, as "The greatest American Missionary of the Nineteenth century. Today, there are over thirty Abbeys and monasteries that take their roots from Archabbot Boniface Wimmer, O.S.B." His nephew Sebastian Wimmer was a well-known Civil engineer who lived in St. Marys Pennsylvania. Sebastian kept a diary of his life daily for fifty years. The original diaries are at the St. Mary's historical society and were transcribed five years ago by Laura Woodrough Steneck. "Forward, always forward, everywhere forward! We must not be held back by debts, bad years or by difficulties of the times. Man's adversity is God's opportunity. "—Archabbot Boniface Wimmer, O.S.B. "We belong to the whole world. "—Archabbot Boniface Wimmer, O.S.B. "People plant trees though they are certain that the fruit will benefit only the next generation. "—Archabbot Boniface Wimmer, O.S.B.